Disclosure: I was compensated for this review, but as usual, all opinions are my own! 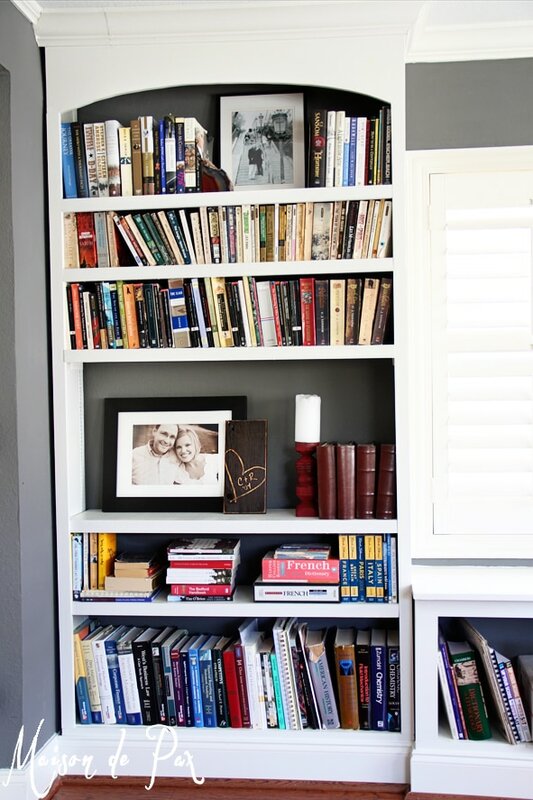 Do y’all remember those fabulous bookcases Mr. Pax built last summer? And my promise that I would style them soon? Well… I am now confessing that 9 months later, everything is still exactly the same. Almost everything. I have an adorable new addition that I can’t wait to share with you. 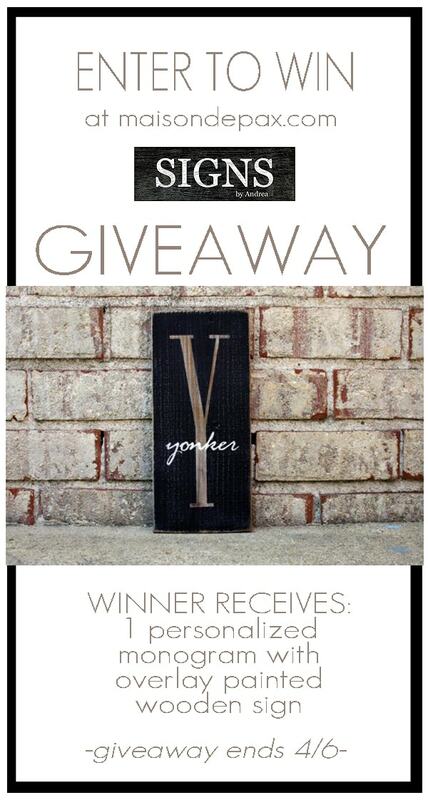 Even better, YOU yes YOU have the opportunity to win one of your own amazing personalized signs by Signs by Andrea! This beautiful painted sign was made by Andrea, and I. love. it. 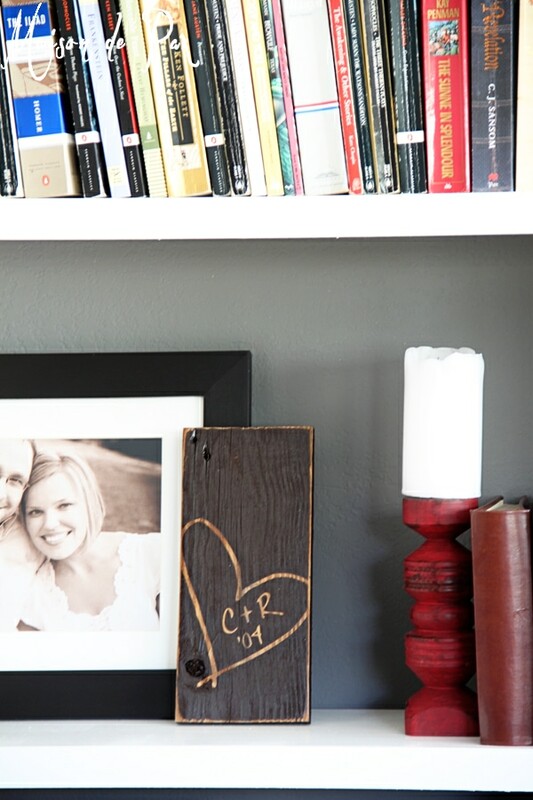 This personalized wood sign was the perfect addition to my husband’s office shelves, especially given that our 10th anniversary is coming up in May. I love the rustic nature of the board she chose, the precision of the design, and even the sawtooth hook she installed on the back in case I decide to hang it (though I’m a big fan of leaning things, obviously!). Really, every detail was perfect. Andrea makes them with care and ships them quickly. I couldn’t be happier with my sign! And I’m SO excited to offer one of her monogram with overlay signs to a lucky reader! So… Now YOU can enter for a chance to WIN your own handmade sign by Andrea! 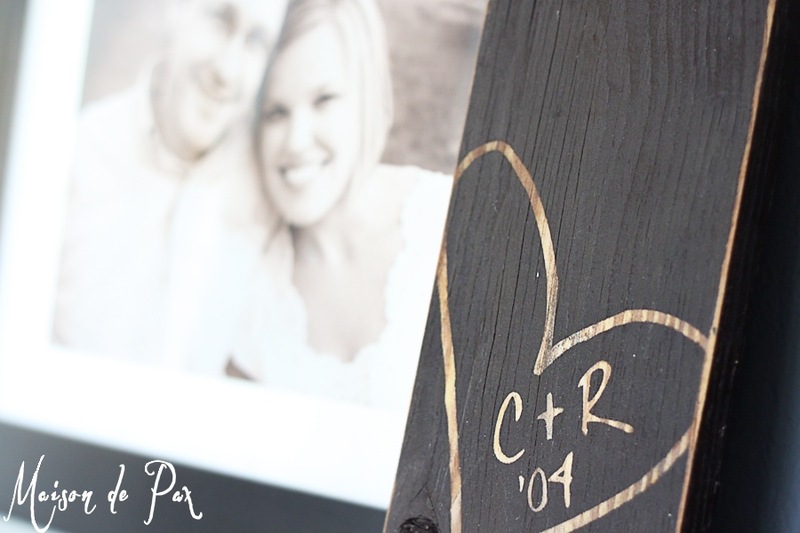 And even if you don’t win, Maison de Pax readers can enjoy 15% off personalized wood signs by Andrea! I love so many of Andrea’s signs, but I especially love the slim monogram sign. Thanks for the chance to win. 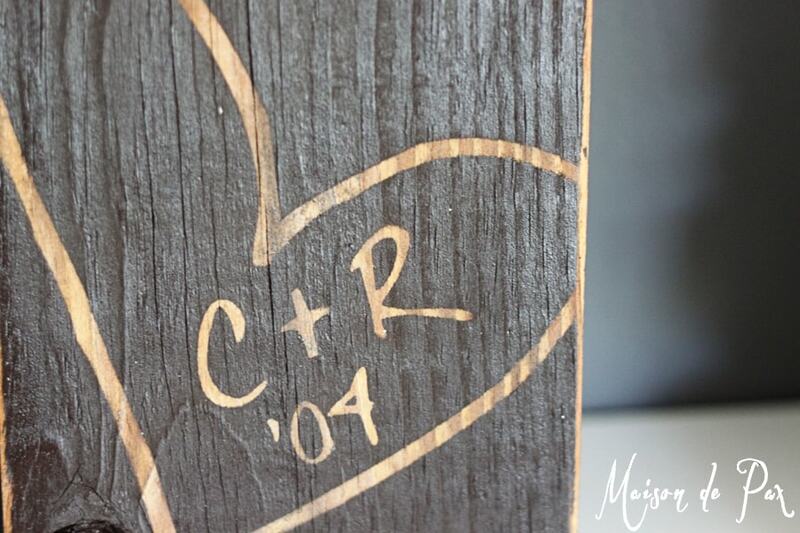 Two initials wood plaque and the Zip code sign are my favorites.! Love all of her signs. Thanks or the chance to win. 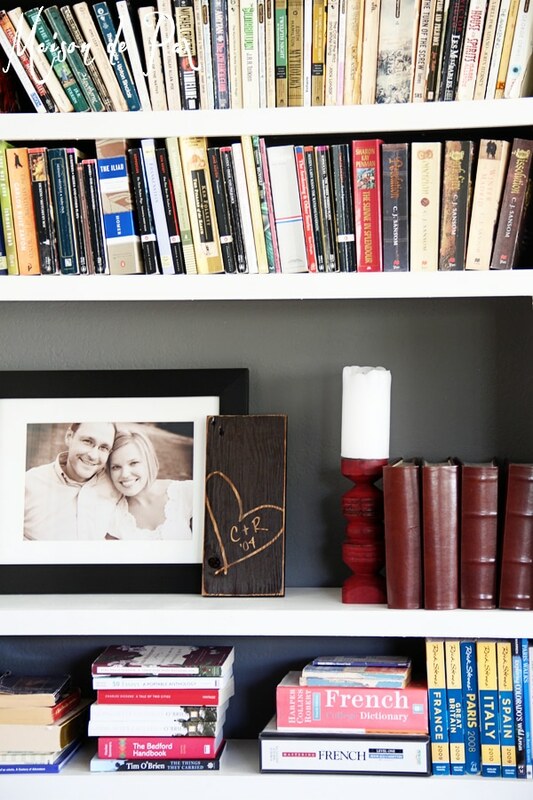 What a beautiful addition to your bookcase! It’s perfect. I absolutely adore the Monogram sign with last name overlay! I’m so excited I found this blog! I really like the monogram sign I love their “you are my sunshine” signs too. Thank you for the giveaway opportunity. I invite you to enter my giveaways and also to add your giveaway to my giveaway age. Hugs! I liked the you are my sunshine signs and the family rules at the beach sign. Both are beautiful and appealing to me. Thank you for this opportunity. I passed on the link to my sister who is a realtor, for the closing gifts idea – personalized signs. Lovely.